Alto’s Dominance Continues: The Alto continues to be the best seller in the entry-level hatchback segment. Its MoM sales increased by 2.12 per cent, while the year-on-year (YoY) sales saw a growth of 14 per cent. As expected, the Alto saw four times the demand as the car that took the second spot - the Renault Kwid. The Alto’s market share has grown by 12.02 per cent MoM and 22.2 per cent YoY. Kwid’s Demand Goes Up: The Kwid continues to be the second best in the segment. The demand for the French hatchback has gone up by 9.15 per cent MoM, which is the highest in the segment. While the MoM sales have seen a growth, sales have declined by 26 per cent in terms of YoY sales figures. If we look at the market share, the Kwid commands 20.51 per cent of the entry-level hatchback segment with a MoM growth of 4.39 per cent. Hyundai Eon Takes A Dive: The Eon is the biggest loser in this segment. Compared to September, the Eon’s sales have gone down by 99.9 per cent in the month of October. This huge decline in sales could be the result of the introduction of the new Hyundai Santro, which went on sale in India on 23 October, 2018. In October, Hyundai sold over 8,500 units of the Santro. 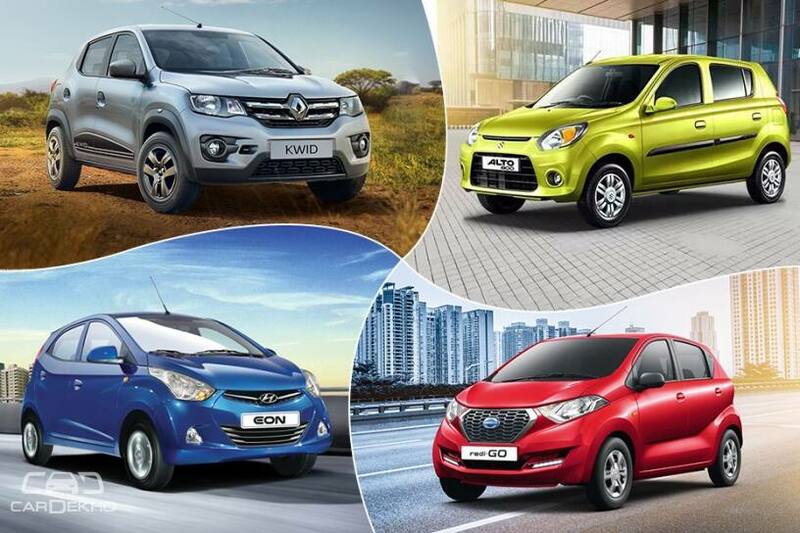 Datsun redi-GO Sales Drop: Compared to September, the sales of redi-GO has gone down by 30 per cent (MoM). This decline in sales could be a result of the newly introduced Datsun GO, which has not only become more affordable but is also better equipped than before. It gets dual front airbags and ABS with EBD as standard now. Despite the fact that sales of the Alto and the Kwid have gone up on MoM basis, the entry-level segment has seen a decline of 14.15 per cent (4,844 units) MoM. This decline could be the result of two new launches in the compact hatchback segment - the Datsun GO and the Hyundai Santro. Alto 800 Facelift: What's Changed?